Have you ever thought how often do you deep clean your carpet? When was the last time you washed it or you have never done it? You probably vacuum it daily or at least twice a week, but the truth is, this isn’t quite enough. Carpet store enormous amount of dirt, dust, and hair, deeply stuck into the fibers and normal vacuum cleaning wouldn’t do. Normally you should deep clean the carpet once a year, but families with small children, people who smoke inside the house or households with pets, should do it even often. The days when we used to wash carpets outside of the house are long gone. Today with dry cleaning indoors carpets get look as new for a couple of hours.To deep clean your carpet you need to use steam cleaning machine. You can buy your own or call a carpet cleaning company to do it for you. Steam cleaning no matter how fast and easy is, still has some specifications and our tips will help you to go through the tricky part. Steam cleaning or dry cleaning is a new method for dry washing of carpets and upholstery. The machines use special detergents and little amount of water to produce steam. The steam easily softens hard stains, dissolves them and makes the stiff carpet fibers smooth again. The steam cleaning is non-toxic, as non-toxic detergents are used. Steam cleaning is advisable for people with allergies to dust, because the deep cleaning brings higher hygiene levels, kills the bacteria and removes all the stored dust. The carpet will be almost dry after steam cleaning because the machine extracts the water while you clean. If you just follow these tips, the cleaning of your carpet, combined with some good music will be as easy as child’s play. Prepare your space before you move on to cleaning. Remove all furniture and items left on the floor. If you’re not able to remove the furniture you can protect it from the moisture by putting foil under its legs. Although the steam will do most of the work, you still need to vacuum the carpet before you start. Stains from spilled liquids are really annoying. You can deal with spills by either using your machine or just hard press over the stain with absorbing paper or dry cloth. Try to absorb as much as you can from the stain and never rub it. Simple things like baking soda, normal soap or dish washing detergent at the moment can help you a lot. 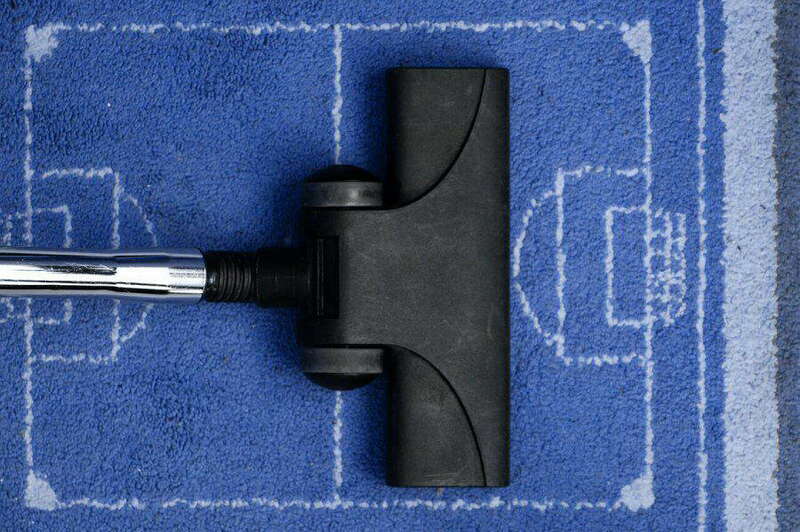 For hard and old stains, extremely dirty and greasy areas or just carpet with worn look, you need to pre-treat it. The easiest way is to buy a spray with pre-treating detergent and leave it to work for few minutes. Some steam machines have separate pre-cleaning applicators. You can apply detergent over deep stains or highly used areas of the carpets, like the doorway. You think it’s stupid to teach you how to use a simple cleaning machine right? Carpet cleaning machines, however, need to be used carefully to avoid bad results. Always start from the corner furthest from the door. This way you won’t need to step over the already cleaned surface. You will get the best cleaning result if you move in straight strokes. If you have to go through two or three times over really greasy spot, try to overlap the strokes. The carpet machines soak the carpet when you move them forward and extract the moisture when you pull them back. Be careful not soak the carpet too much. Too wet carpet will cause bad odors and mildew. To avoid that it’s better to pull back the cleaner slowly to extract as much water as you can. You don’t have to run the machine on the highest speed, in fact, medium speed will help to clean better. We suggest choosing warm season, like late spring, when the carpet will easily dry. The attachments will help you to reach even strange corners, under the furniture, if it’s still in the room and to clean stubborn stains. With the attachment, you can focus only on a particular stain, without over-soaking the whole carpet. To find the right detergent is not such an easy job. 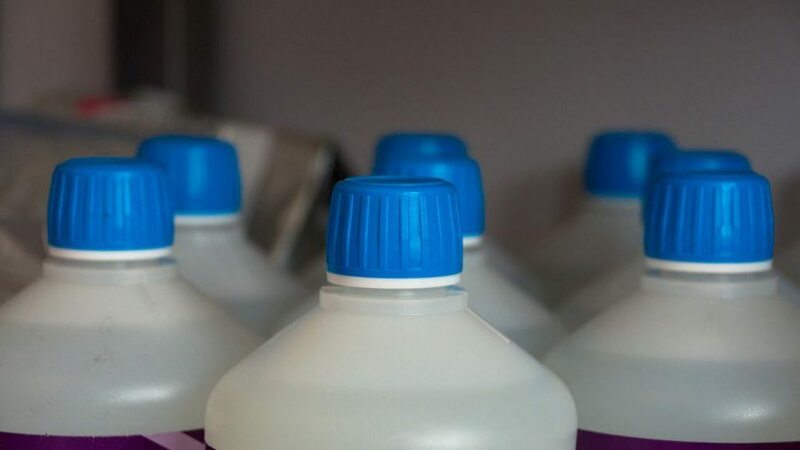 First, you need to know what a good detergents is – a non-toxic, anti-bacterial and not containing harmful ingredients solution. Many of the cheap solutions, although saving you money, will cause pretty much trouble. Some solutions react with chemicals or are corrosive. Bad detergent might cause an allergic reaction, especially solutions containing ammonia or synthetic chemicals. You should apply the detergent following the instructions on the label, don’t put more than needed. You should also search for a non-colored solution, especially for light-colored carpets. If you use solutions containing soap, you will need to rinse the carpet with clean water in the container. Otherwise, the soap will create a sticky layer and attract even more dirt. Never miss this tip, even if this is not the first time you clean with steam. Test the solution and speed over a hidden spot to see whether strange reactions or highly visible changes in the color will appear. Do the same for the upholstery if you intend to use the carpet cleaner over it. The carpet cleaning machines can be used also for the upholstery in your home. You can refresh and deep clean the sofa and chairs. For this purpose, you need to use the special attachments. Sometimes, depending on the type of fabric you might need to buy different detergent- harmless for the surface. Sofas keep a lot of unpleasant smells, pet hair and old stains, so they should be treated the same as the carpet. With the carpet cleaner, you can wash the stairs too.